This week the Horror Duo take on yet another classic horror film - comparing it to a modern take on the same source material. 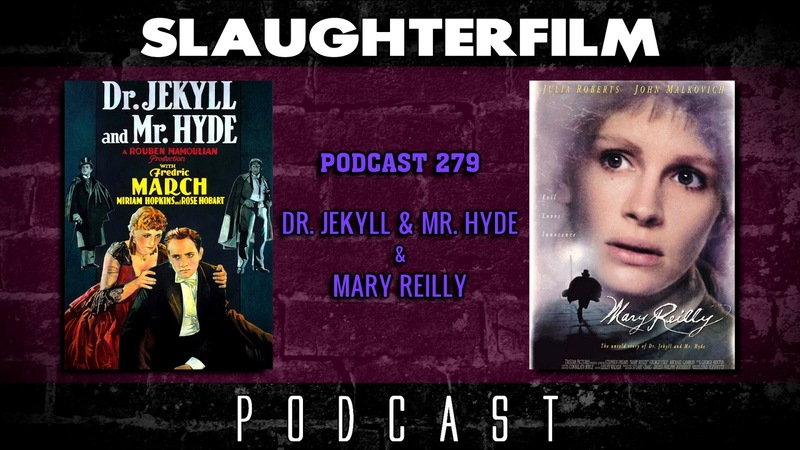 Forest raves about the 1931 Dr. Jekyll & Mr. Hyde, and Cory is totally underwhelmed by Mary Reilly. Forest also chats about beta testing a friend's RPG, Cory talks about his time spent in Evans City for Living Dead Weekend, and both celebrate the life of John Dunnsworth as well as the character he's known so well for, The Trailer Park Boys' Jim Lahey. All this and, the Horror Duo ponder what it would be to live as women. For more Slaughter Film news and reviews, as well as show notes and special events, make sure to visit our website; SlaughterFilm.com. 27:50 - "Dr. Jekyll and Mr. Hyde"